May 18, 2010  Connecticut Attorney General Richard Blumenthal was fighting for his political career Tuesday after The New York Times raised questions about whether he distorted his military service. But Blumenthal wasn't the only one who failed to present his record accurately. Several newspapers repeatedly mischaracterized his service. April 28, 2010  Fox News will end April in strong shape. It will mark the 100 hundredth straight month as the top-rated channel in cable news -- a march started in the period after the September 11 attacks. April 26, 2010  For the first time in the paper's history, the Wall Street Journal is printing a local section, covering politics, sports, real estate, crime and culture from street level. The move is seen by some as the latest strike in a battle between the Journal and The New York Times. April 23, 2010  A poll by the Pew Research Center and NPR found that trust in government has hit near record lows. For people to judge public officials they need information they find credible. Executives at three very different kinds of news outlets in Atlanta wrestle with their own trust issues. 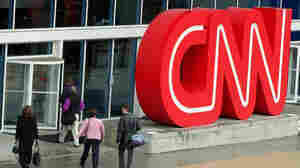 April 23, 2010  Polls by NPR and the Pew Research Center show that the public's trust in media organizations is dipping. David Folkenflik visits Atlanta, a microcosm of the national news landscape and home to CNN, and finds that the biggest issue is the perception of political bias. April 20, 2010  Smaller firms and nonprofit organizations paid roughly $24,000 to Vision Media to produce short documentary films, hosted by former ABC anchor Hugh Downs, that they said would appear on public television stations. Yet the ensuing videos resemble infomercials — and they're unlikely to receive much airtime on public stations. April 2, 2010  The National Catholic Reporter has aggressively covered the ongoing story of child abuse by priests in the U.S. for the past 25 years. 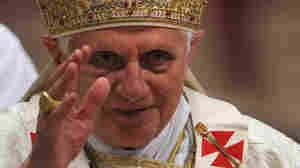 It is now among the voices calling for Pope Benedict XVI to answer questions directly as the scandal again gains force in Europe and the U.S.
March 19, 2010  The attorney for Casey Anthony, who is accused of killing her daughter, told a court Thursday that ABC News had paid Anthony $200,000 for exclusive rights to reproduce family photos and a video. Several journalists said ABC's failure to tell viewers of the payment for the pictures was an ethical lapse. March 19, 2010  Correspondent Christiane Amanpour will be moving to ABC in August to take over the anchor chair at This Week. Amanpour is best known for racing across the globe from hotspot to hotspot, covering conflicts for CNN. She replaces George Stephanopoulos, who moved to Good Morning America. February 24, 2010  ABC News President David Westin announced Tuesday that he'll be seeking hundreds of staff cuts through buyouts being offered to most news staff. The cuts are made necessary by a bad economy and increased media competition. Westin says this is a call for transformational change in the way TV news is produced in the digital age. February 23, 2010  ABC News President David Westin said up to a quarter of the 1,400-person workforce would be cut as the network re-engineers the way it produces news in the digital age. Voluntary buyouts are being offered to nearly all full-time news employees who are not under union contracts or personal services contracts. February 23, 2010  ABC News has told staffers that every one of them will receive a buyout offer in the next few days. The network's news division hopes to achieve staff cuts numbering in the hundreds though no figure has been named. February 16, 2010  The unnamed people who filmed and publicized the shooting death of an Iranian woman during the protests there last year have been awarded the George Polk journalism award. Other winners include New York Times correspondent David Rohde who detailed his kidnapping by the Taliban.